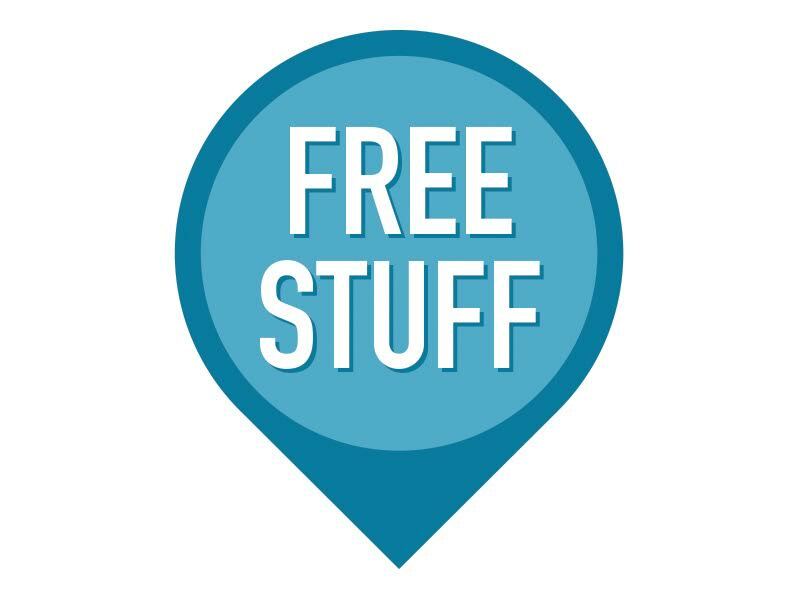 Here you’ll find links to free filmmaking resource materials. We’ve scoured the interwebs looking for free to use sound FX, templates, software, stock footage, presets and a host of other items beneficial for the micro-budget filmmaker. So start your downloads! UPDATE: We also have a huge page dedicated to current available grants & funding from across the world here: videoandfilmmaker.com/available-grants-funding-programs. So be sure to check out funding in your area that you may qualify for and start making your film. 909 Music – A Royalty-Free Music marketplace where video producers & music composers can collaborate; the site uses CC-licencing where a number of tracks can be used for free (with attribution). Adobe Audition Sound FX & Music Loops – Over 20Gb of royalty free musical loops, stingers and sound FX all packed into labelled collections. Note: Requires an Adobe CC Subscription. CCMixter – Music that you can use, or remix all free to download with a Creative Commons licence. EchoThief – A library of 100+ completely free to use Impulse Responses (IR) recorded from buildings, architecture and unique spaces from all over the world. IRs are applied when using convoluted reverb plugins (found in the effect racks of Adobe Audition or Pro Tools) to create authentic or natural reverb to audio added in post, such as foley, sound FX or ADR. Freesound – free & CC-licensed sound effects & foley, with a large online community of artists sharing their audio, loops & mixes. FMA – free music archive and CC licensed compositions. GoSoundtrack – a creative collective of composers focused on music for media, released under Creative Commons Attribution License, meaning it’s free for both commercial & non-commercial use. Custom songs can be requested if you have a project that needs something special added to it. Incompitech – royalty free music. Jamendo – arguably the best place to source CC music with over 40,000 artists submitting tracks. Also, it has an easy to use search function, something vital for music sourcing. MobyGratis – musician Moby has provided free licensing (for indie filmmakers & non-profit) for 150 compositions from his extensive catalogue of music. OpenAir – An Impulse Response Library, under CC-licencing with an ‘Auralization map’ to search for a specific IR data to set reverb according to spatial/space. The library also includes Anechoic Data and resource software for generating acoustic data and utilising the data. Excellent for foley artists and sound designers. Premium Beat – massive free sound effects pack for film and video trailers. Sonnyboo – free resources including music for filmmakers. SoundCloud – CC music, loops and sounds. Not all are shared and be careful to check the uploader owns the track before using. World Hip Hop Beats – Creative Commons licensed instrumentals for educational and non-commercial use. Youtube Audio Library –free music library for use on micro-budget projects. ZapSplat – free Sound Library with over 7000 sound fx and foley files that can be used in both commercial and non-commercial works. This is worth bookmarking as the library is continually growing. AudioBombs – hundreds of free audio plugins, VST, synth and FX plugins, Ableton racks, Reason refills, Touch & MIDI templates and CTRLR panels. Audacity – open source audio recording & editing software for Mac, Windows & Linux. With multi-track editing, multiple file types, supports up to 32 bit (floating point) samples, envelope tool, range of effects and plugin support. Autodesk Student Center – Autodesk provide free versions of their software to students & educators. Includes Maya, 3DS Max, Motion Builder, Smoke, Flame, Sketchbook, Mudbox & more. AVSHD Monitor Calibration – Free calibration videos for computer monitors. Blender – open source 3D animation, compositing and motion graphics program. Highly regarded within the VFX & CG industry as a low cost alternative to expensive software. Celtx – Open source script writing software, from start to end pre-production. Coremelt – Slice X is now free! The plugin allows the use of mocha tracking with oval and rectangle masks in Final Cut Pro X (click here for video tutorial). The company has also created a dedicated website housing all its free FCPX plugins and extra goodies. Gimp – cross-platform, open source image & photo editing software. Powerful image manipulation, with animation support, multiple file associations and online tutorials. HandBrake – Excellent open-source video converter, DVD & BluRay ripper for Mac, Windows & Linux. It will convert from almost any format to MP4 or MKV (encoding to: H.264, H.265, MP4, MP2, VP8 or Theora). You can also add chapter markers, video filters, audio pass-throughs, subtitles, titles & chapter selection, in either Constant Quality or Average Bitrate. This is an editor’s MUST HAVE program. MagicPrefs – a free Mac program that allows users to bind new gestures to Magic Mouse & Trackpad, just about any shortcut can be added as a gesture, making editing much faster. Natron – a completely free and open-sourced, node-based VFX Compositing platform for Windows, Linux and OSX. A complete toolset for indie compositors or microbudget productions, with tracker nodes, rotoscoping/painting, multi-plane, network rendering and python scripting. Nvidia – a free Texture Tools plugin for Photoshop allowing users to generate normal maps, texture compression, mip map generation and cube map formatting (Windows only, sadly). OpenAir – An Impulse Response Library, under Creative Commons licencing with an ‘Auralization map’ to search for a specific IR data to set reverb according to spatial/space. The library also includes Anechoic Data and resource software for generating acoustic data and utilising the data. Excellent for foley artists and sound designers. Paint.net – free image and photo editing software for Windows. Reaper – an audio production workstation, that allows a complete working copy, with no time (or any other) limitations. If you like it they have a scaling range of licenses available. Shotcut – free and open-sourced, cross-platform NLE Video Editing program. With multi-format timelines, scrubbing and transport controls, audio scopes, video filters/presets/transitions, 3-wheel colour grading, open-GL image processing, and much more. Colblinder – a colour name & hue tool for those who struggle with differentiating colour, or are colour blind. Jarle’s Premiere Pro Presets – Completely free Looks, Grading tools, scaling tools, effects, Cinestyle LUT, HUDs, flow templates, full downloadable tutes, and much more. Matthew Scott Visuals – Cinematographer Matthew Scott has some great colour grading Tutorial videos, for DaVinci Resolve, Adobe Premiere & After Effects. Along with RAW footage, you can use while watching his tutorials. Red Giant – this popular software maker has a number of free versions of its colour grading products, Magic Bullet Quick Looks Free and Magic Bullet Colorista Free. Background Burner – free online rotoscoping tool to remove the backgrounds of images, replacing with a solid colour or alpha layer. Chroma Key Backgrounds – A Youtube channel with stacks of backgrounds you can use for your green screen footage, just grab the vid link and feed it into KeepVid. Thanx to V&F reader Mohd Jamaldin El Jendi for the tip! Coremelt – Slice X is now free! The plugin allows the use of mocha tracking with oval and rectangle masks in Final Cut Pro X (click here for video tutorial).The company has also created a dedicated website housing all its free FCPX plugins and extra goodies. Creative Crash – marketplace (lots of freebies) for 3D models, character rigs, scripts, plugins, textures & applications for (most) 3D & 2D graphics programs. Cute Stock Footage – huge database of (mostly) free Alpha+ overlay effects, flares, particles, light leaks, old film effect, bokeh and transitions. In addition, there is a large library of free Sound FX, HDV stock footage/images and tutorials. deviantART – massive database of user created content. Photoshop brushes, textures, vector graphics, clipart, 3D models, stock images, templates & tutorials. Film Impact – free FCP & Premiere Pro impact transitions. Fnord Software Blog – WebM & Theora royalty and license free plugins for Adobe Premiere and Adobe Photoshop. HandBrake – Excellent open-source video converter, DVD & BluRay ripper for Mac, Windows & Linux. It will convert from almost any format to MP4 or MKV (encoding to: H.264, H.265, MP4, MP2, VP8 or Theora). You can also add chapter markers, video filters, audio pass-throughs, subtitles, titles & chapter selection, in either Constant Quality or Average Bitrate. This is an editors MUST HAVE program. Holy Grain – free 35mm film grain with and without dirt. For use in any production, both commercial and non-commercial. Juan Melara – free Print film emulation LUTs for Davinci Resolve, Kodak & Fujifilm emulations. LightLeakLove – free downloadable light leak alpha footage and a free Transitions Plugin for FCPX. Motion Array – A range of free titles, effects, presets, and motion graphics for use in Premiere Pro & After Effects, along with Premium content for purchase. There’s even a selection of royalty free music, you can use for free. You’ll just need to create an account before downloading. Noise Industries – free plugins for FCP, Motion, After Effects & Premiere Pro. Premium Beat – 16 free transitions for After effects. Rocket Stock – Although this site usually sells templates, it does provide a number of free quality AE templates, including Digital Distortion, Dynamic Car Gauges, Circle Bursts, Split Layers and 4K Light Leaks (which can be used in any editing program). Also, new Helvetica Animated Font and free Fire Effects. VashiVisuals – 335 free film editing tools & assets. Ae & Premiere Pro templates, plugins, Alpha+ overlays, Letterbox Template Pack. New 12-pack of Audio Presets for Premiere HERE. VFX Bro – Excellent collection of free After Effects plugins, animations & presets, including Real Camera Shake Pro, Audio Reactors, Title Animation templates, Pop-Up Book template, and more. Video Copilot – highly regarded After Effects tutorials, free plug-ins, presets, project files and stock footage. Vision Colour – 2GB pack of film grain, lightleaks, film burns, tv transition noise and more. Adobe Story – a free script writing and collaborative story tool for pre-production & script purposes. Requires a free membership of Adobe Creative Cloud in order to use. Amazon Storyteller – free online storyboard builder able to create up to 100 panels, with moveable figures, art & icons from multiple script source files. Still in beta, and be sure to check your rights in the terms of service. Internet Movie Script Database – Hundreds of free to read/download scripts from studio-produced films. It’s an incredible resource to learn how to write or structure your scripts from some of the biggest names in Hollywood. Magic Lantern – free software for Canon DSLRs allowing greater control of your camera. Latest build enables shooting video to RAW. Archive – massive digital library of cultural artefacts. Software, video & audio samples from a huge database of user submitted content. Beachfront B-Roll – Royalty Free HD clips & stock footage, abstract, time-lapse, HDR, nature, traffic, animation and a range of other types of stock video. Blue Sky Stock Footage – a stock footage website with a large number of free to use stock footage. Creative Dojo – Free pack of 15 lightleaks pack, in 1080p HD. Footage Info – Massive directory of royalty free stock footage, free and paid services. Over 240 sites listed. Mammoth HD – RED Collective’s royalty free 6K – 1080 stock footage, all shot on RED cameras by seasoned professionals. Metropolitan Museum Collection – An archive of 400,000 hi-res artworks for non-commercial, educational, personal or for fair use only, great for student/festival projects or practising rotoscoping and animation skills. MTS Films – filmmaker Matt Scott’s personal website where he’s sharing a collection of free to use RAW and 4K stock footage, and film grain. Kudos Matt. Natum’s Tumblr – links to film grains, lightleaks, film burn, RGB alpha footage and more. Oak & Rumble – Royalty free, HD stock footage. This media company produces free stock footage to give back to the filmmaking community, the clips are uploaded to Youtube, so you’ll need a browser addon to download them from there. Premium Beat – free animated icons pack and a free Film Marketing Pack, with poster templates, trailer rating templates, title templates and more. All in editable Photoshop files. Projector Films – 25 free lightleaks and lens flares for use under a CC Attribution, non-commercial licence. All in 1080p HD. RetroCod – provides digitised 8mm and 16mm home movie clips from the 1920s – 1970s, with searchable metadata and clips are formatted to user requirements before download (for a fee). However, low-resolution clips are free to download and all clips have a Creative Commons ‘Fair Use’ licence. VFX Footage – 38 free Alpha+ overlay footage, ink reveals, film gunk & grain, particle effects, 8mm stock presets, old footage overlay, water surfaces, smoke, flicker planes, light leaks, burns and more. VHS Glitches – 40 minutes of free-to-use VHS glitches in an mp4 format in 9000 K/bs (cost is free or donation). There is also a Youtube clip available (if you are unable to access the site). Videoblocks – Free and subscription-based stock video, images and After Effects templates (7-day free account on signup). Videvo – Offering free stock footage and motion graphics for all projects. 588 Free Film Forms & Contracts – All of the form templates you will ever need, from FilmakerIQ. Becoming the Reel Deal – a free ebook instructing ways in getting your first job in the camera dept. Film Pack – professional contracts and releases (location, acting, music, etc. ), production paperwork templates (shot lists, call sheets, storyboard, budgeting, sound report), Broadcast Digital Slate, Anamorphic Borders, Vimeo & Youtube encoder settings. All in a single download file and it’s free. 360º GoPro Spherical Mount – Panoramic VR mount to fit six-GoPro Hero 3 cameras, designed by dtLab. 77mm Lens Gear – Blueprint by SubModal for use with a geared follow focus. Atomos Ninja 2 EVF – Simple viewfinder designed by Alfo, but you’ll need to find your own rubber eye-cup to fit it. Also, you should be able to customise the EVF to fit other monitors/recorders such Video Devices’ Pix-E5, Atomos Shogun, or the Odyssey7 & Odyssey7Q+. Automated Spherical Panoramic DSLR Tripod – a DIY motorised modified Manfrotto tripod using custom 3d printed parts and electronics, designed WebBoggles. He also has a DIY Panoramic Bracket for iPhone using 3D-printed parts and a motor salvaged from an old printer. BM Pocket Cinema Camera Screen Hood – Blueprint by PhotoResistor to fit the BMPCC LCD screen. Boom Shock Mount – Microphone shock mount, customisable to fit any sized mic, can be fitted to a boom pole or hot-shoe mount, designed by marsCubed. Collapsible Mini Tripod – Blueprint by SketchPunk for a mini tripod similar to Akron’s mini tripod. DSLR Hot-Shoe Mount for Strobe, Flashlight or Shotgun Mic – Simple design by MiniFracture to hold 25mm diameter light or microphone. DSLR & Kinect Mount – Designed by Roy Macdonald, for mounting a DSLR Camera over a Kinect to use with the RGBDToolkit. DSLR Rig & Follow Focus – A complete shoulder rig for DSLR cameras, the mount-plate is compatible with Velbon DV 7000 Tripods, designed by WebGhost. DSLR Shoulder Rig – Compatible with numerous commercially available parts & rigs, for use with industry-standard aluminium pipe, designed by Flummer. DSLR Table Dolly – Designed by Alex English, the dolly requires wheels and bearings from an old or cheapy skateboard. Follow Focus for Reflex Cameras – Blueprint by Tony BoemerFor Reflex Cameras, this blueprint has two variations, one to control focus and one for zoom. GoPro DSLR Hot-Shoe Mount – For those who want to mount their Hero 3 camera over their DSLR, designed by XR3DHub. GoPro Slide – Customise the slide to any length, or action cam, designed by 3DHobbies. Hangii DSLR Hip Holder – Stops your camera from bouncing around while you walk by mounting it to your belt or waistband, customisable to fit any plate size, designed by Yamens. Hood for Canon 7D – A simple hood for the 7D’s LCD screen to keep unwanted light from obscuring the view, should be customisable to fit any DSLR, designed by Andi1024. HoverShip – Blueprint for an MHQ2 folding mini QuadCopter frame, with all the components. You can purchase motor kits directly from HoverShip here, or make your own. Kontinuum Glide – A printable 3-axis gimbal glidecam with fully adjustable front/back camera carriage. Suitable for DSLRs and lightweight video cameras. Lens Cap Holder Belt Clip – A simple belt clip to hold your 62, 67, 72 & 77-mm lens caps, designed by Gabriel Hunag. Quick-Release Plate – Designed by NRP for use with the Manfrotto 701HDV head and 501PL plate. Shotgun Mic Shock-Mount & Pistol Grip – Blueprint by Bipedal shock mount grip to fit Røde NTG1/2 or any microphone with a 22mm diameter or less. Stead-I-Cam – Steadicam replica by Frits Stam en Koen de Greef, one of the better 3D-printable designs, with even weight distribution to create professional smooth movement with your DSLR, or light-weight video camera. Xiaomi Yi Gimbal Mount – Gimbal Mount for Xiaomi Yi Action Camera with 12mm gimbal motor hole spacing. Includes pitch arm for front mounting on Immersion RC Xugong 8 but other Gopro based gimbal parts should be compatible . IMU mount for use with MPU-6050 accelerometer. Understanding Video Capture – a simple guide for beginners, from storage to shutter speed. After Effects w/Mikey – a Youtube channel with a plethora of excellent step by step tutorials. Blender Cookie – online expert courses & tutorials. Blender Guru – free Blender tutorials and resources. Feng Zhu Design – massive database of tutorial & how-to videos. These bi-monthly episodes cover a broad range of topics from digital painting to portfolio preparation. Firelight – free 286-page ebook, Hands On – All Media Producing which is a compendium of tips, advice and experiences for producers and filmmakers, focusing on producing for multi-platforms. Absolutely worth reading for filmmakers everywhere. Pixar’s 22 Rules for Storytelling – a free ebook, analysing and applying each rule. The book is written by 12-year veteran story writer/developer for Pixar, Stephan Vladimir Bugaj. Pdf download. Pixel Street Studios – free Maya & Photoshop tutorials (paid subscription for intensive lessons). The Guerrilla CG Project – Vimeo based CG tutorials. The Foundry – Nuke & NukeX free video training tutorials, plugins & work files from the makers of Nuke. Swinborne University of Technology Faculty of Design – free intensive Maya tutorials, plugins and work files. Video Copilot – highly regarded After Effects tutorial, free plug-ins, presets, project files and stock footage. This page is a work-in-progress. So if we’ve missed a great site that has cool filmmaking freebies, be sure and let us know by emailing us here.